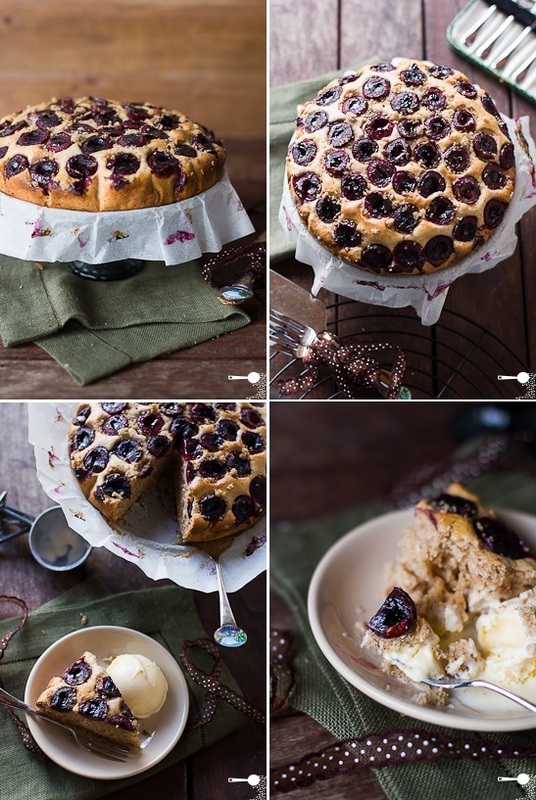 The classic French Cinnamon Tea Cake made a little more posh with vanilla bean paste and fresh cherries. A quick and tasty low fat, low sugar dessert. French Tea Cake is one of Mr Chipconnoisseur’s favourite desserts. It’s quick to make, fragrant with warm notes of cinnamon and vanilla. And, as any good French dish would have it, just the right amount of butter. 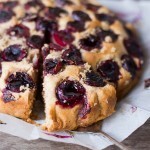 The idea to add fresh cherries to this otherwise plain tea cake came from my Dad. Back in his home liqueur making days, he used to make a kirsch like no other. His was infused with vanilla beans and a hint of cinnamon for good measure. The flavour was rich, complex and very much suited for winter. 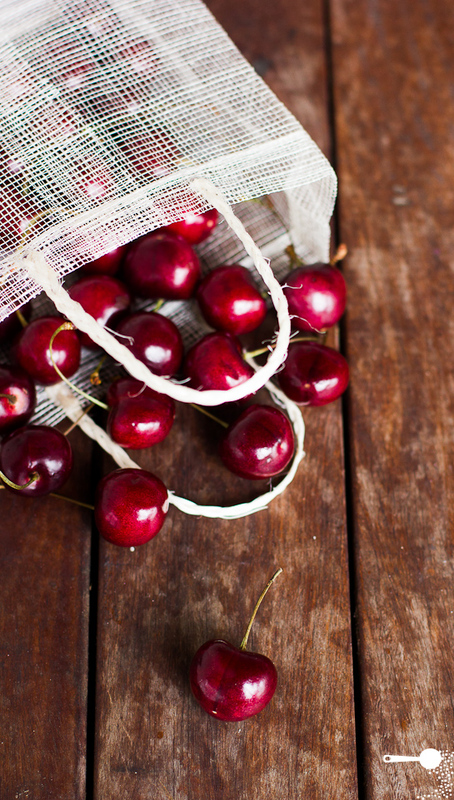 While local cherries are only available in Australia around Christmas, I have used fresh US cherries which are currently available in stores. But I am pretty sure that when out of season, pitted Morello cherries (in jar) would also be great. Dousing the tea cake with brandy or port is completely optional but it adds to the cake’s appeal in my opinion. And since I’ve reduced the amount of sugar from the original, if you like your cake a little sweeter, you could also drizzle a tablespoon of runny icing all over the top if you prefer. Or serve it with vanilla ice cream like I have. Yum! 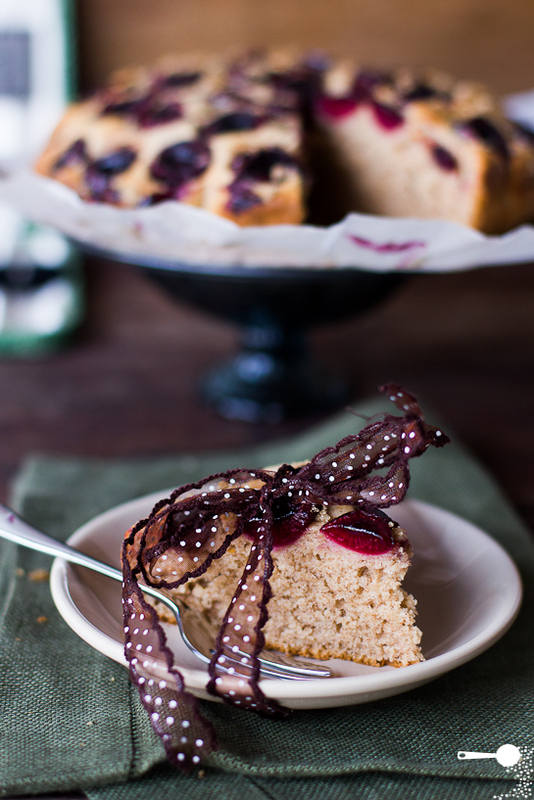 The classic French cinnamon tea cake made a little more posh with vanilla bean paste and fresh cherries. Using electric mixer, cream butter, sugar and vanilla bean paste until pale and creamy. Using a large metal spoon, fold cinnamon flour and milk alternately into butter mixture until just combined. Spread mixture into the prepared pan. Smooth surface. Distribute pitted cheery halves around the top of the cake, pitted side up. Drizzle with port or brandy. Bake for 30 to 35 minutes or until a skewer inserted into the centre comes out clean. Stand cake in pan for 10 minutes. I really like how you’ve pitted the cherries it’s very nifty of you. Drooling all over my keyboard. How beautiful! I love the rich color that the cherries give the cake. This would be such a perfect afternoon snack. Wow, my jaw dropped when I saw this. Just saw this on FoodGawker and I have been staring at the screen for the past 5 minutes. Fantastic shots. So moody and deep. Love it – nice blog. Hi Martyna, I’ve just discovered your delicious blog. 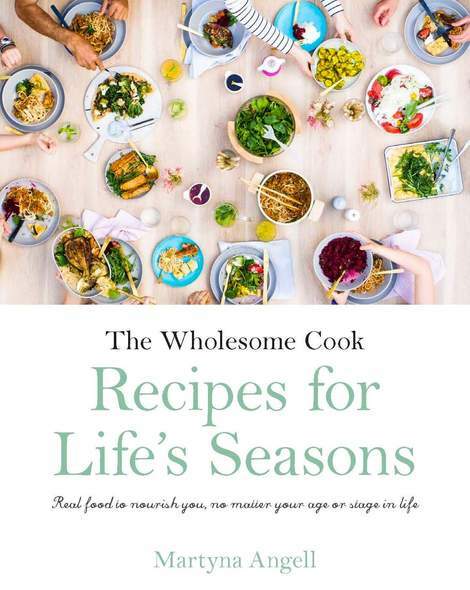 Gorgeous recipes and photos! Thanks for sharing. Stunning photos!!! I’d love a slice of this with my cup of tea right now. What a beautiful cake! Strangely I rarely bake with cherries, but I should because they look so lovely. Beautiful photos! What a lovely tea cake. Wow lovely!!! 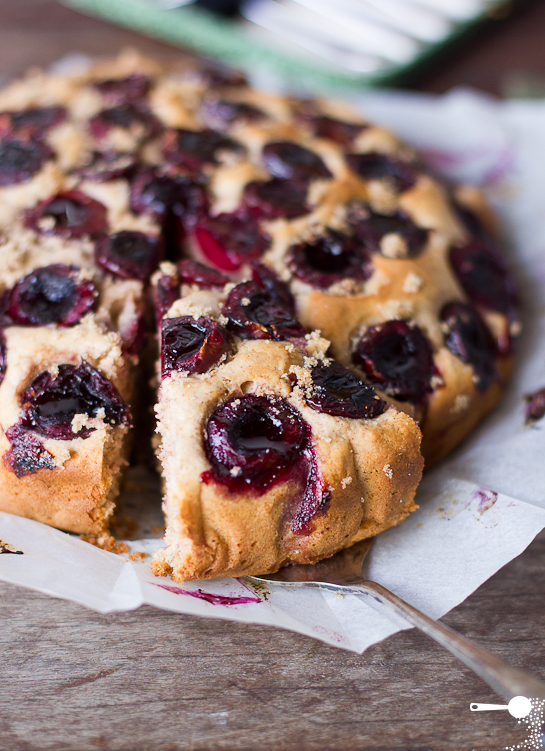 I love cherries and this cake is absolutely gorgeous! Wow, great cake. And beautiful photos – I just wanted to dive into my computer screen and eat some!! I think it would be ok, although the raspberries might not hold their shape as well… Could try peaches or nectarines too? So cherryfic! I love it! This French cinnamon tea cake looks and sounds delicious! Thanks for bringing that to my attention, will fix! Cool 🙂 Still worked out quite nicely, very light and fluffy! Gorgeous, Martyna! My mother makes a cake so similar to this one – seeing it here really tugged my heartstrings in the nicest way 🙂 Yours looks stunning.